Video files sizes can be very large for downloading with cellular network. Downloading those files with cellular data can be quite slow and if you don’t have any discounts for cellular data, this might end up with high bills. 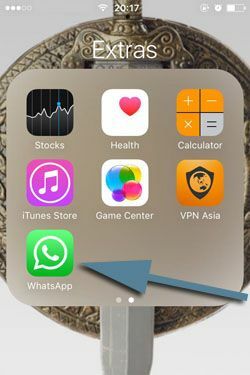 We are going to tell you how to download WhatsApp video files with Wifi connection only on this page. If you haven’t checked these settings on your phone yet, we also recommend you to check it for avoiding download huge video files. Please let us know if you have any questions regarding download files through WhatsApp. 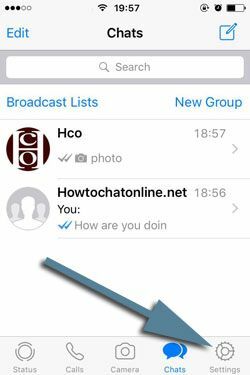 1-) Run WhatsApp Messenger on your iPhone or iPad device first. 2-) Tap on settings on main page of WhatsApp Messenger. Please see the image below. 3-) Swipe down and tap on “Data and Storage”. 4-) Tap on “Videos” button which is located under Audios on the page. 5-) Tap on “Wi-Fi” from the selections you will see on the new page. That’s all! 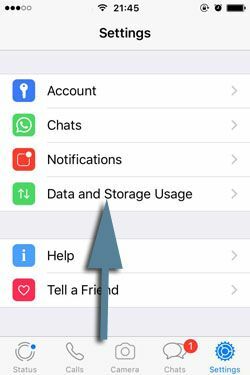 Now you have select only WiFi connection for downloading Video files on WhatsApp iPhone. You won’t download video files now and that will help you to save time and your connection will not go slower. We also recommend you to check negatives of using WiFi connection for downloading WhatsApp at the small paragraph below. This is hardly effect usage of WhatsApp really. However you won’t able to download video files whenever you want. You can still download these files with cellular with changing the options of download. You can follow same steps above to change settings. If you couldn’t manage to do it, you can contact us about the situation. You can ask us if you have any question related downloading videos to your device.